The first human CRISPR gene editing trial to be conducted in the United States has now commenced. The treatment is being given to two patients as part of a study conducted by researchers at the University of Pennsylvania. 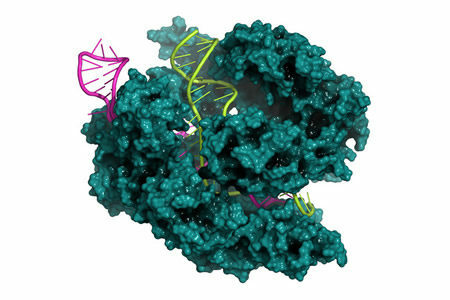 CRISPR has shown considerable promise for treating diseases caused by genetic mutations. CRISPR can be used to make accurate edits to double stranded DNA and remove and replace defective genes. To date, no clinical trials using CRISPR have been performed in the United States, although patients have been treated with CRISPR in China where regulations on new treatments are not as stringent. In fact, last year, a Chinese scientist, He Jiankui, announced that CRISPR technology had been used to make genetic edits in human embryos. CRISPR certainly works, but questions have been raised over the safety to the gene editing tool. Lab studies have shown the gene editing tool to be accurate, although some recent studies have called the accuracy of the treatment method into question and suggest there could be off-target effects – Unintended changes made to DNA. The treatment involves the extraction of immune cells from the patients. Cells are then modified using CRISPR in the lab and are reintroduced into the patients. The researchers hope the CRISPR-engineered cells will kill the cancer cells. Approval has been given for 18 patients to receive the CRISPR treatment. It is too early to tell whether the treatment has been effective and the results of the study are unlikely to be known for some time. The university will share further information about the study in a peer-reviewed study or medical meeting presentation at an appropriate time. The trial is one of several in the United States and Canada that have received approval and are due to start this year.